When you run a new Startup or on-going small business, you’re pulled in several different ways every day. If the demands on your time feel overwhelming, take heart: There are thousands of productivity Apps for Business out there that can help you do everything from keep a neat To-Do list to delegate tasks to employees and stay on top of your business. 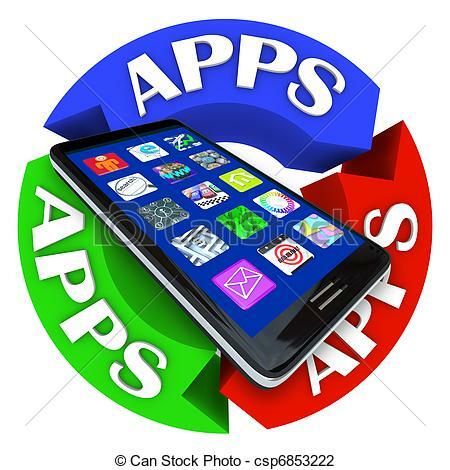 Which apps are best? That will largely depend on your business and your own preferences. If you don’t have the time to wade through an endless list of apps, we’ve plucked several tried-&-true Apps for Business to get you started. Streak. If your small business uses Gmail or Google Apps, Streak is a great little CRM that integrates with both. Instead of organizing customers by contact, it lets you keep track of where you are in your business relationship (ie, just beginning a pitch, or maybe you’re finalizing a deal). You can view all Emails associated with each Customer directly within Streak, + a news-feed can keep everyone on your team updated on the status of everything in the app. Streak’s basic service is “free” for up to 5 users. More sophisticated plans range from $19 to $119 a month per user. Insightly is a CRM that also boasts a lot of project-management features, which could make it a one-stop shop for some startups or small businesses. You can categorize contacts with tags, integrate their social network profiles, & manage leads. You can also create tasks for team members, set up pipelines to track the status of those tasks, and create Email reminders to keep everyone on time. Though there is a “free” basic version, you’ll have to pay at least $12 a month per user for access to the app. Nimble. If your business has a prominent Social Media presence, this might be the CRM for you. It gleans data from your contacts’ social profiles, updating itself so that you don’t have to. It even analyzes shared interests & integrates with Gmail, Outlook, Hootsuite & many other services. Nimble also learns what relationships you “value” as you continue to interact with it, making it more likely to highlight future opportunities. Pricing starts at $15/mo per user. Square. If your business depends on point-of-sale purchases but you have a limited budget for payment systems, this one could be a life-saver. Plug in a small card-reader to your smart-phone or tablet, and you can swipe credit cards & process payments just like any established retailer. You don’t have to be connected to the Internet, and you can use Email or text messages to send receipts, and the system can even allow customers to leave a tip of 15%, 20%, or 25%. There is no monthly fee; instead, you’ll pay 2.75% of each transaction. PayPal Here operates a lot like Square. You use a small card reader with your device to receive payments. Each swipe costs 2.7%. It has a few added features, including the ability to process checks, electronic invoices, & payments from a customer’s existing PayPal account. One potential downside is that you won’t receive your payments directly in your bank account. You’ll get it in your PayPal account, then have to transfer that to your bank account, which can take a few days float. Dwolla doesn’t offer a card swiper, but if your business doesn’t rely on point-of-sale purchases, it’s a compelling way to accept payments via bank transfers – because it’s “free”. You can accept or request mass payments, set up recurring payments, & customize your fees. Enhanced business versions with features such as faster transfers & higher transaction limits start at $25 per month. QuickBooks Online. If your small business is like a lot of others, you already use QuickBooks, or your accountant does. It has a lot going for it, including a familiar, easy-to-navigate interface & integration with many other services. You can send invoices on the go, view balances, approve estimates, & link to many other services including PayPal. The base version of QuickBooks Online is $9.99 per month. It includes Invoicing, Check Printing, & Bank reconciliation. More expensive versions are $19.99 to $29.99/mo and include advanced features like Bill Payment Scheduling, Purchase Order management, & Inventory Tracking. FreshBooks. If you have a service-oriented business that doesn’t need a high-powered accounting solution, this is an easy-to-use app that offers a lot of functionality. Track hours, log Receipts, & send Invoices from your Smart-phone or Tablet. It’s highly visual & intuitive, and the service integrates with several others including BaseCamp, PayPal, Google Apps, & ZenPayroll. [Note that FreshBooks does not offer double-entry bookkeeping]. The base plan starts at $19.95/mo, and allows management of up to 25 Customers. More fully featured versions allow unlimited clients for up to $39.95/mo. Wave. If you’re on a tight budget and, really don’t want to pay for Accounting SW. This app is for that – if you have fewer than 10 employees, It’s easy-to-use platform that can take care of your Invoicing, Expense tracking, Receipt scanning, and more. You can add links to your bank accounts + integrate with PayPal and other services, too. The “free” version is ad-supported, so keep that in mind. You’ll also have to pay for certain added features such as Payroll or premium Customer Support. Both start at $19/mo. Comments: Do you know any other Apps in these categories that should be mentioned?